From the New York Times: Rental cars are rarely anything special. And that’s just fine. All you really need from a rental is unlimited miles, long-term shelter for a few stray curly fries and a hassle-free ride from A to B and back again before those martinets at the counter charge you for an additional day. If you’re driving a rental, the car itself is most likely not the point — it is merely a solution to a problem. 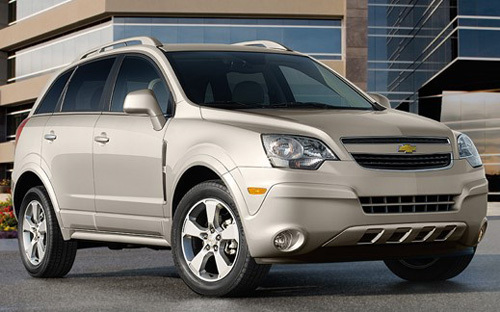 And for many travelers over the last couple of years, the Chevrolet Captiva has been their rental car solution. The Captiva is a rare thing in the American auto market: a vehicle that isn’t available to consumers but is offered only to fleet customers, including the rental car companies. You can rent one, but you cannot buy it. The reasons stem from General Motors’ bankruptcy in 2009. Among the casualties of the company’s reorganization was the touchy-feely Saturn division, which amid its dying gasps offered the second-generation Vue, an appealing small crossover S.U.V. developed by the Opel division in Europe and sold around the world in various guises, including the Opel Antara. In the United States, G.M. found itself with a relatively fresh crossover on its hands, but no Saturn dealers left to sell it. This was not much of an issue during the depths of the recession. But by 2011, with demand surging for compact crossovers, Chevy was having trouble keeping up with dealer orders for its fresher Equinox model. Obligations to fleet customers — rental companies, government agencies and commercial buyers, who were ordering small crossovers in larger numbers — only increased the strain on supply. So Chevy turned again to the Antara platform, resuscitating the Vue in fall 2011 as the Captiva Sport, a version already being built in Mexico — where the Vue had also been made — for South American markets. There are currently 9 users and 438 guests online.